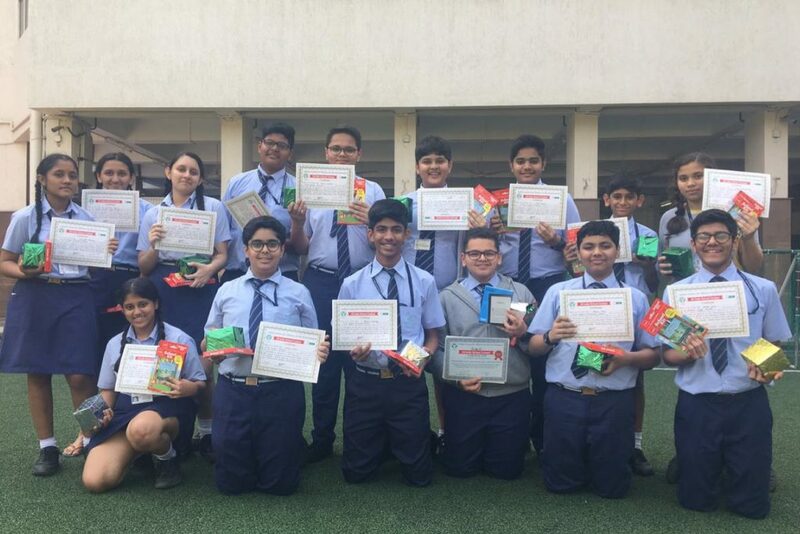 An ALL INDIA INTER SCHOOL CONTEST was organised by ‘INDIAN CENTRE FOR PLASTICS IN THE ENVIRONMENT’. 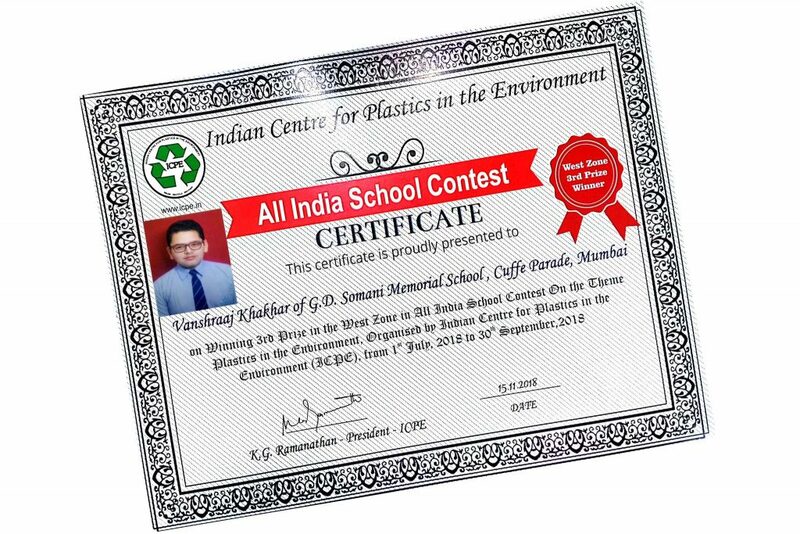 The agenda of this contest was to address the environmental issues related to the use of plastics and promote waste management in India with focus on plastic waste. 189 students from G.D.SOMANI MEMORIAL SCHOOL participated in the event under various categories. Our school stood SECOND overall in THE WEST ZONE.